Having a road association can provide a way for road users to formally manage their roads in an organized and cost-effective manner. An effective camp road maintenance program is a major step towards having a safe and drivable road and helping protect your local body of water from the negative impacts of soil erosion from your road. Road associations can be loosely formed or highly organized. 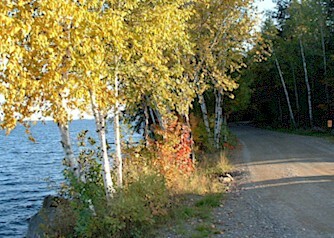 In Maine, there are three basic types of road associations – informal by consent or agreement, a statutory road association, and a non-profit corporation road association with property interests in the road. This manual is intended as a resource for private road residents who would like to improve planning for and implementation of successful road maintenance programs. The guide includes the basics and benefits of the different types of road associations, pros and cons for each, and steps for forming a road association. The following appendices are discussed in the Guide to Forming Road Associations and should be used in conjuction with the manual. For an unofficial history of the Private Ways Law, visit www.fireroad53.com/MaineLaw/history.html (offsite). A Nonprofit Corporation is created through the Maine Secretary of State’s office, per the Maine Nonprofit Corporation Act: Title 13-B. 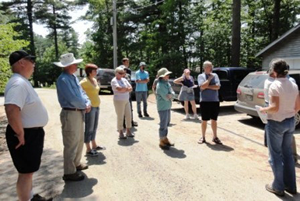 To access an unaffiliated online community and information resource for statutory road associations in Maine, visit the Maine Alliance for Road Associations (offsite) website.